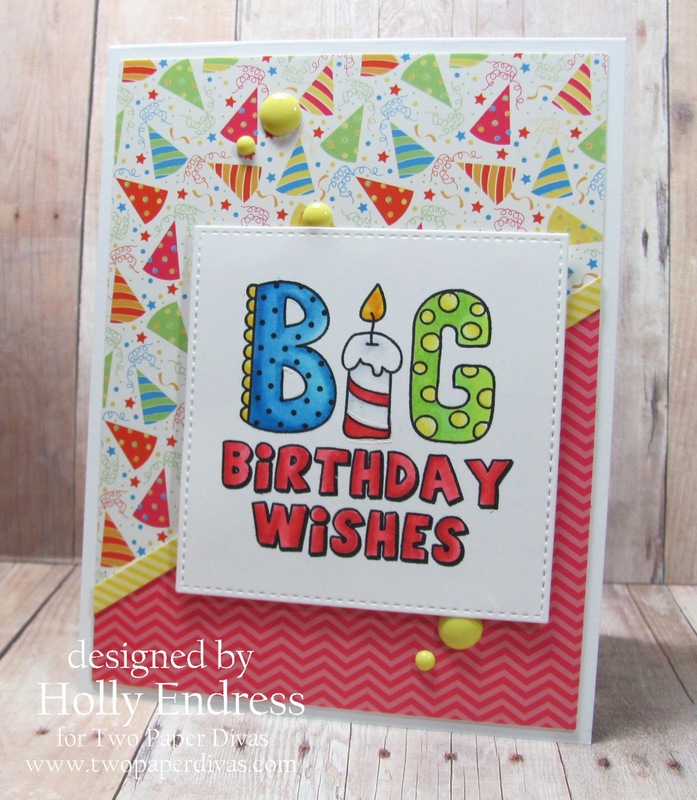 Hollybeary Creations : Big Wishes with the Diva's! Big Wishes with the Diva's! It's time for some more fun with Two Paper Divas.. This month's release has some great single stamps. I'm using the new stamp Big Birthday Wishes. I paired the image up with some fun pattern papers from DCWV and the sketch from Sunday Stamps. I stamped the sentiment onto some white card stock using Tuxedo Black Memento ink and then I colored it in with Copic markers. I die cut the images using a stitched square die from MFT. On a White top folding card base I added some pattern papers from the DCWV Birthday wishes stack. I adhered the image panel using some dimensional adhesive and then I added a few Enamel dots from My Minds Eye. 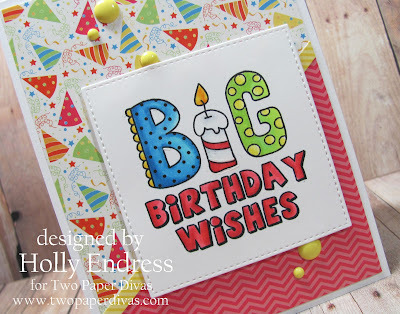 Be sure to head over to the Two Paper Divas blog for more fun inspiration with this month's release. What a cute stamp! 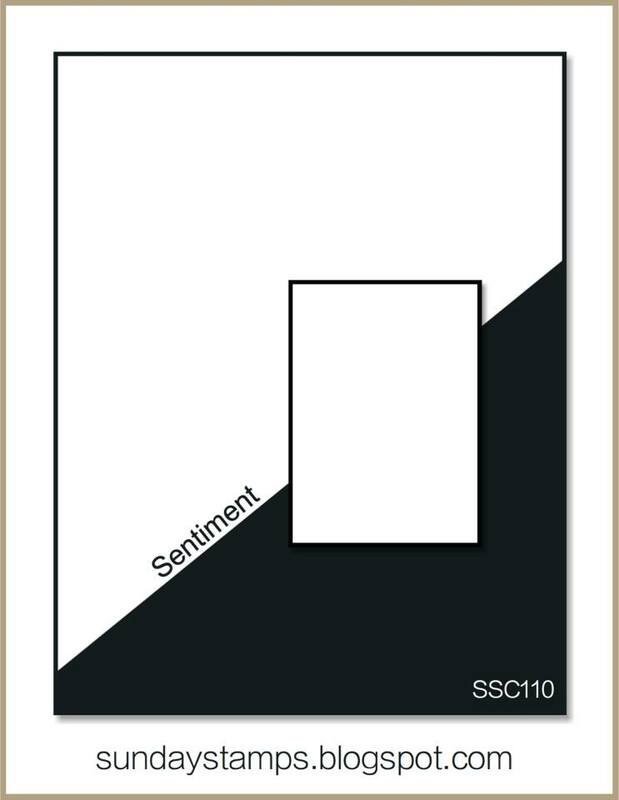 Great card layout for it! Love this bright, fun birthday card! And, I just noticed the new challenge site. I'll be visiting this site soon! Super cute card....thanks for sharing!! !